It's important to note that some sites may see what we discuss as problems, while others might find certain points irrelevant. That's because Visitor Management is so unique, and what plagues one site might not even impact another. Keep in mind that these aren't signs that your Visitor Management program is some kind of disaster; instead, they're signs that you might want to take a closer look at some existing processes. It's one of the most common questions asked at offices of all kinds, right up there with "why are there so many dishes in the sink?" and "who ate my dessert?" "What happened to all of the visitor badges?" On the surface, this doesn't seem like a big deal. 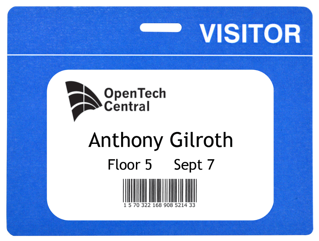 Visitor badges can be replaced, especially if they're just generic plastic cards attached to a lanyard or a badge reel. Buy some more and move on. However, misplacing visitor badges is indicative of a larger problem: there's a gap in your Visitor Management coverage. The most common security gap in situations like this is that there's no sign-out procedure. Guests are free to leave out of any door whenever their visit is done, which is how badges end up in coat pockets or stuffed in briefcases. Solution: Close the gap by requiring that all guests both sign in and sign out, ensuring that your visitor badges don't end up in a desk drawer somewhere. You've seen it before: that unfamiliar person ambling through the halls with a confused look on his or her face, peering in your front door looking unsure. Confused Wanderers are real, and are haunting facilities across the nation. If you have them at your site, it's probably time to take a look at your guest procedures. One key aspect of a good Visitor Management program is ensuring that your guests know where to go when they arrive at your site. If you notice a lot of guests wandering around or frequently encounter guests who have to stop someone to ask where the office is, it's time to take a look at what you're doing to prepare guests for their visit. Solution: A guest's visit often begins before he or she arrives on-site. Install clearly visible signage in parking lots or lobbies to guide guests to sign-in, or consider a Visitor Management system that automatically emails or texts a guest prior to his or her visit. When a guest arrives at your site, you want to make a good first impression. You want your reception area to be professional and you want your receptionist or reception kiosk to cast your organization in a good light, one that shows you're serious about security. The last thing you want to do is leave a guest sitting in your lobby for a half hour after signing in. Everyone has experienced some degree of the "Mr. Smith will be right with you" treatment. Sure, a little waiting is to be expected. After all, the person a guest is visiting can't just materialize right when the guest clicks "sign in." However, if you notice that you have guests lingering in your lobby for longer than necessary, take a look at how you're processing those guests. Is the host being notified when the guest signs in? If so, how is the notification being sent? If not, where is the breakdown occurring? Solution: A good Visitor Management system can automatically notify a host that his or her guest has arrived by sending an email or a text message. This cuts down the lingering and the awkward small talk significantly while also making your guest feel like more of a priority. Before you get scared, don't worry — we don't mean you have guests literally disappearing (if you do, you have bigger problems than Visitor Management). By "missing" we're referring to having guests who aren't where they're supposed to be, whether it's coming back to the office after lunch or returning to a meeting after a fire drill. 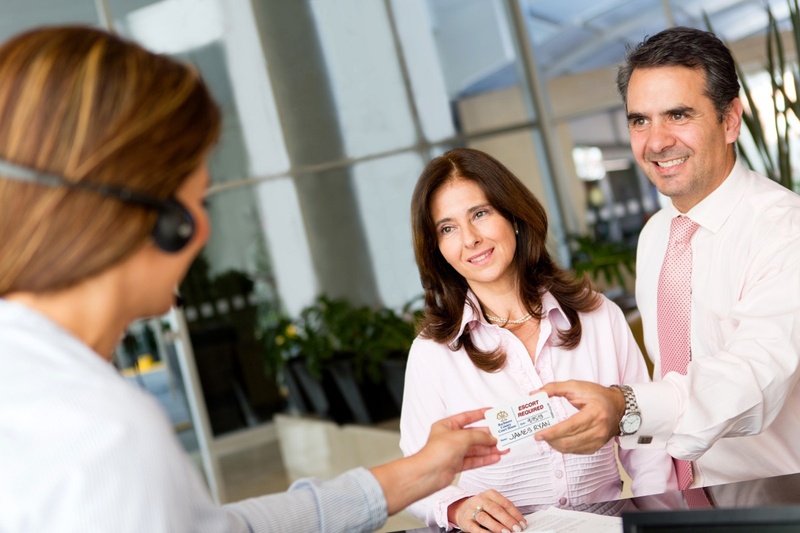 In many cases, organizations focus their Visitor Management program on getting a guest through the sign-in process; if they can do that without issues, they consider it a win and call it a day. However, a good Visitor Management program will keep track of your visitors throughout the day and will help them be completely informed through their entire visit. Guests won't have to worry about getting stuck outside, because they'll be informed on how to get in the employee entrance. In the event of a fire drill, guests will be informed upon sign-in that one is scheduled for that day and will know where to go. Solution: Consider better informing your guests prior to arrival. Some Visitor Management programs can send customized pre-visit email or text notifications, ensuring your guests won't be left out of the loop. It's important to make a distinction here: we're not talking about guests from your company's other location coming to the office to work (though they're important too). Instead, by "visiting workers," we mean people who come to your site to perform some kind of contracted job. These workers could be a repair company, a food vendor, an HVAC company and others. These workers are key to ensuring your site runs smoothly, but also present unique challenges: contracted employees need to be registered, need to have insurance and need to know who to contact in the event of issues or questions. Common issues can include contractors having trouble finding a person in charge to review or approve work, insurances coming up expired or contractors being unaware of site protocol. These issues are inconvenient at best, and dangerous at worst. Solution: Initiate a different guest process for visiting workers. Consider checking insurances at contractor sign-in, having contractors acknowledge site rules or procedures and notifying the facilities manager when contractors are on-site. If your site is experiencing any of the issues above, don't worry! There are plenty of ways to address them and bring your Visitor Management program back up to speed. Use the button below to get in touch with a member of our expert Visitor Management team. We'll work with you to identify your issues, fix them and get your Visitor Management program running like a well-oiled machine in no time.